Our own mix taking stainless steel shackles and getting them locally powder coated. 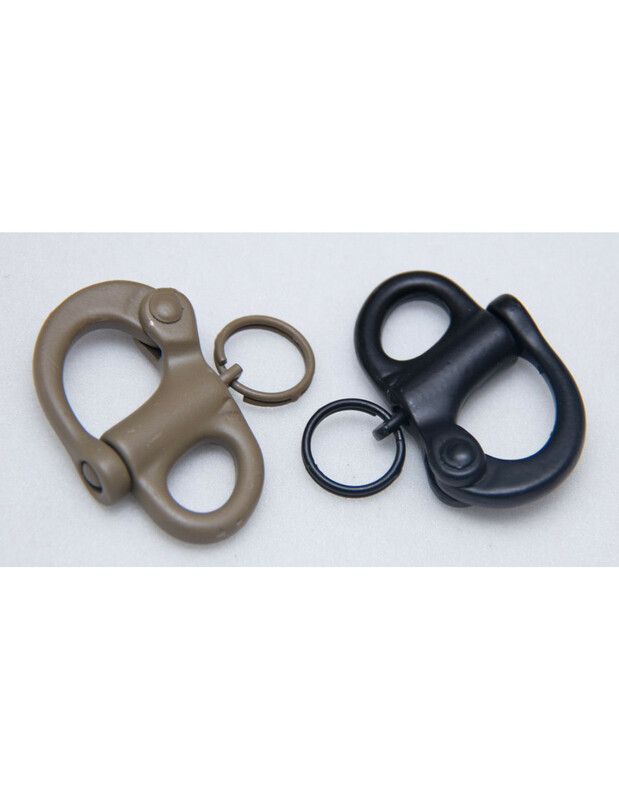 Sport captive pins and welded rings for long term durability. Ranger Green hopefully coming in the near future. A quick release snap shackle in a common 2" overall length size. Classic hole slot , spring loaded, latch will not release until ring is pulled sideways away from the shackle. Approx 1.25" x 2.1" closed and not counting the pull ring.